These days, 360 and “VR” (virtual reality) are terms that are often used interchangeably. Part of it is undoubtedly due to the popularity of VR. But 360 panoramas are not VR, even if it’s a stereoscopic (3D) 360 panorama. As they say, a picture is a thousand words, so the difference is most easily understood through a sample of an actual VR “photo” here. The VR “photo” was taken by the Matterport 3D camera. The Matterport not only takes photos but also captures depth information. Because it can capture depth, it can create an actual 3D model of the space. In turn, this allows a viewer to move around the “photo.” That’s something you can’t do with a 360 panorama, even a stereoscopic one. I hesitate to even call the Matterport’s images photos — I would say they are more akin to 3D models, with photos mapped to it (photomodels perhaps?). One issue with the Matterport is that it has to rotate to capture a space. In short, it is analogous to a smartphone (or regular camera) taking a 360-degree photo by rotating it, except the Matterport records the depth information as well. 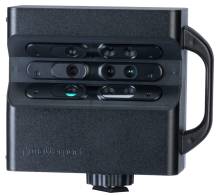 In addition, to get a good 3D model, the Matterport needs to be moved to different locations in the space so that it can capture different points of view. It works very well for real estate and stationary spaces, but it cannot be used for capturing action scenes in [true] VR. ​Is there a camera that records spatial depth like the Matterport but also does it in 360? Yes. That’s the premise behind the Lytro Immerge, which should in theory be able to do what the Matterport does, except to do it in 360 degrees. 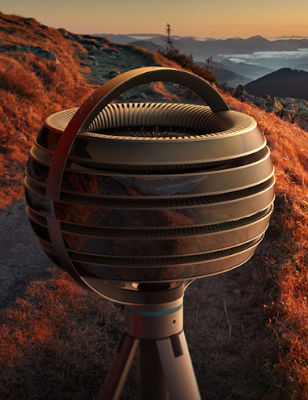 But even the Lytro Immerge can only capture a scene from one point of view. 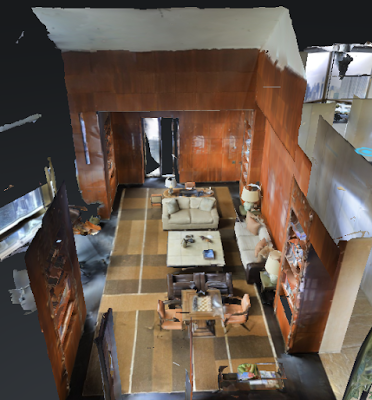 To allow a viewer to move around objects in the scene, a camera like the Lytro Immerge would also need to capture information from multiple locations, as with the Matterport. Alternatively, you could use several spatially-aware cameras working in sync, as in the famous Microsoft holoportation demo. This gives you an idea of the difficulty of creating a true VR camera for the masses. It will be a long while before this technology trickles down to the casual photographers. So, in the meantime, we can make do with 360 panoramas and 360 videos. Even if you call them “VR,” I personally think it’s not a big deal because there’s minimal risk of confusing them with true VR given that true VR photomodels are still very rare. Until then, enjoy some more VR photomodels from the Matterport here!